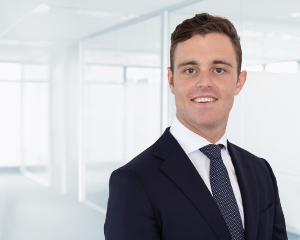 Harrison is a member of the accounting team in Sydney, specialising in self managed super fund (SMSF) accounting, administration and taxation. As a key part of his role, he assists clients with the establishment, administration and compliance of their SMSF. Harrison completes client financial statements and tax returns, and organises the year-end independent audit. He is committed to a high standard of accuracy, and works closely with his clients as a direct point of contact, providing a personalised level of support to help manage their wealth. Harrison has a Bachelor of Business, majoring in Accounting from the University of Technology Sydney. He is also currently completing a Graduate Diploma of Chartered Accounting with Chartered Accountants Australia and New Zealand.